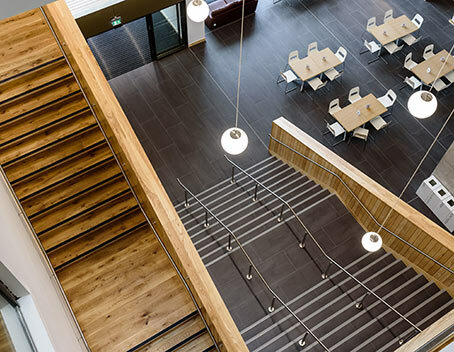 Our new £57 million home offers competitively priced venue and studio hire options in creative, contemporary surroundings. 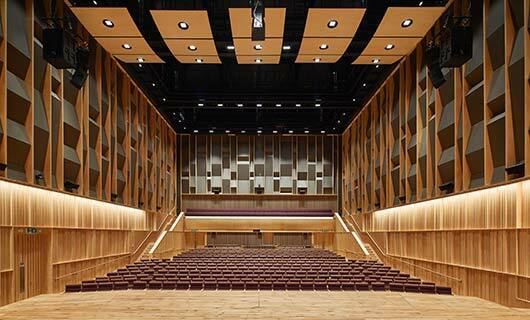 The Bradshaw Hall has been acoustically modelled to optimise the experience from every seat. 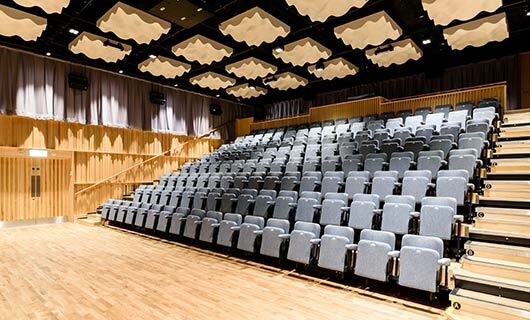 This intimate hall has a variable acoustic and is a flexible space with a floor-level stage area. Eastside Jazz Club has been expertly designed to create a quintessential jazz club vibe. 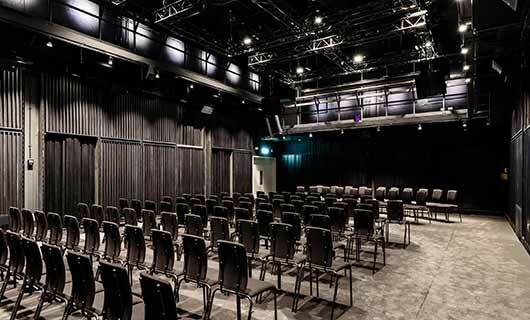 A 100-150 seat flexible black-box studio designed to enhance performance. 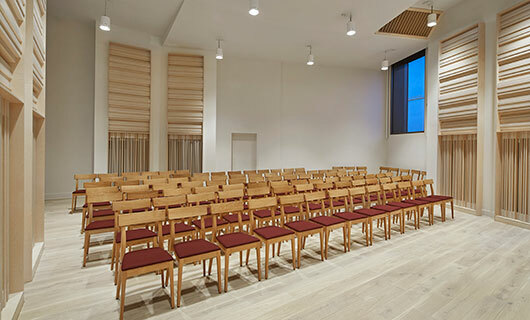 An elegant 100 seat venue equally suited to solo, chamber and organ performance. Eight spacious open floor areas with flexible spaces. Combining the best of analogue performance with 21st century digital systems. 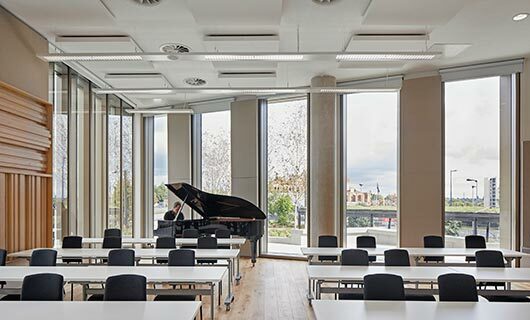 Whatever it is, you'll benefit not only from the facilities in our new Conservatoire, but from the support and expertise of our dedicated events team. 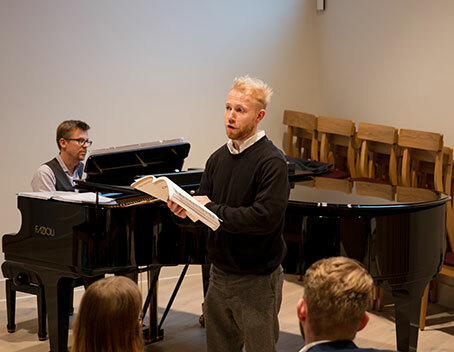 As a Conservatoire training over 800 students each year for professional careers as musicians and actors, we are experts at staging and presenting performances of all types and sizes. 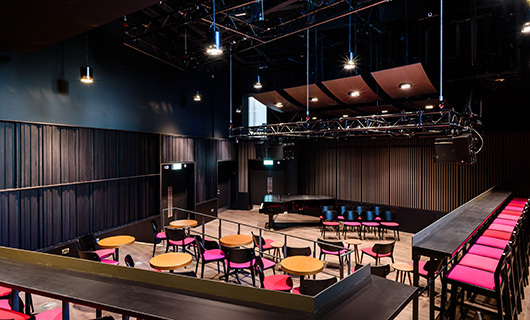 A variety of conferences and meetings can be hosted at Birmingham Conservatoire, ranging from those with large events in our 493 seat Bradshaw Hall, to executive meetings in our studios or function rooms. 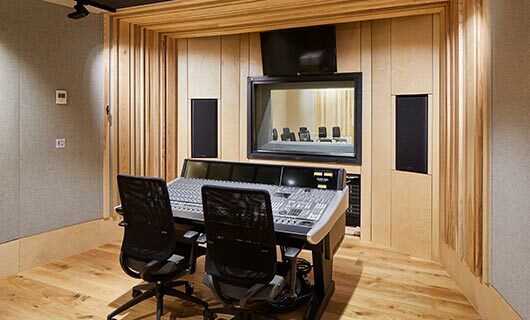 Eight performance studios sit at the heart of the Conservatoire and are available to hire to host your rehearsals, workshops, masterclasses, auditions and performance exams of varying sizes. 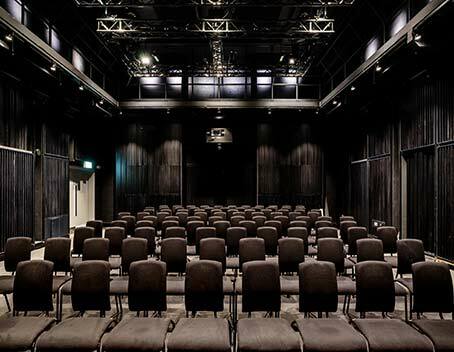 Designed for the digital age, several of our spaces have state-of-the-art laser projectors, digital screens and 7.2-16.2 surround sound, making them ideal for local film clubs, film premières and private screenings. If you are not sure what your options are and need some advice then we can help! Ask us anything – no question is a silly one! Flat rental and commission based rental packages are available. Please send us a message and we'll contact you shortly. Alternatively give us a call on 0121 331 5909 and we’ll talk you through your options and answer any questions you have. 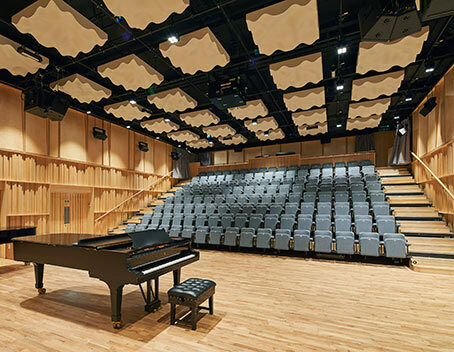 Birmingham Conservatoire has a central city location and offers excellent accessibility for those with limited mobility.